Amazon is an advertising juggernaut. The eCommerce giant doesn’t show signs of slowing down any time soon. In fact, as of September 2018, Amazon overtook Google as the leader in product led search. This is big news for not only consumers, but also marketers. Amazon’s product led search is changing the way audiences shop online. This has major implications for where marketers dedicate their time, resources, and expertise. 55 percent of all consumers first consult Amazon before they buy a product. That’s huge! As eCommerce continues to grow, Amazon is positioning itself as a trusted authority. More shoppers conduct research on Amazon before they buy. Amazon has even been encouraging this behavior, changing the way users buy online. Although Amazon increased its market share by 11 percent this year, Google isn’t far behind. What’s clear is that Amazon will continue to encourage product led search by overhauling its offerings. 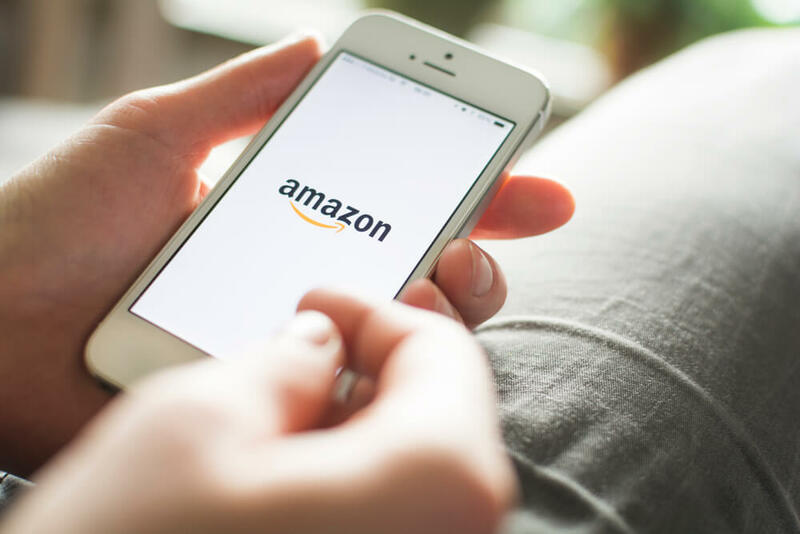 Let’s take a look at why Amazon product led search is so significant, and how it will affect your marketing strategy in 2019. Product led search happens when buyers research a product online before buying. This includes reading reviews, watching unboxing videos, checking photos, and asking for recommendations from their network. You want to be where buyers are shopping. Why? Because buyers who show intent have a much higher likelihood of buying product. This purchase intent allows you to convert more loyal buyers over time and increase conversions. Marketers have been pumping their budgets into Google Ads and Facebook Ads for years. But with Amazon changing how people buy, marketers need to think twice about product led search and conversions. Amazon snatched the product led search crown from Google. As of 2018, Amazon grew its market share from 46 to 54 percent. Amazon is now the go-to platform for product research. That means users are not only consulting search engines like Google to make their buying decisions, but they are using Amazon more and more. In many cases, a person buying shoes now consults Amazon first instead of Google. The main difference is that your buyers begin their journey on Amazon now, instead of a search engine. These buyers also are taking longer to buy, too, consulting more information before finally converting. Although the buying cycle is slightly longer with Amazon, it encourages users to gather more information before taking the leap. Remember that your audience is already doing product led search. Now they’re shifting where they conduct that search. That’s why marketers need to adjust their strategy and budget to meet consumers where they are—on Amazon. While Google Ads are still valuable, consider paying more attention to your presence on Amazon. Connect with buyers who already demonstrate intent, optimizing for conversions while decreasing costs. 90 percent of your customers consult Amazon before they buy. Meet them where they are with these best practices. Google once ruled the roost for product led search. Amazon easily overtook the search engine in just three years. Why the big change? Amazon significantly improved their user experience. Cleaner layouts, One-Click Shipping, and Prime member benefits encouraged people to buy on Amazon first. Put simply: Amazon made it way, way easier to shop. 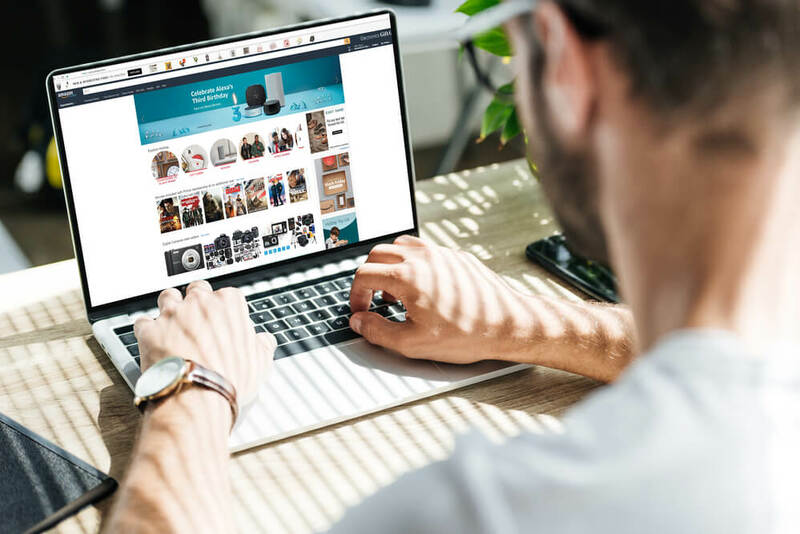 In fact, many buyers indicate they’ve left a brand’s site to purchase an item on Amazon—solely because of a poor user experience. Amazon’s powerful filters, review system, and reputation make it the go-to destination for your users. Cooperate with Amazon’s rules and best practices. Update your product listings to make it incredibly easy for users to find the information they need, and quickly. Although Amazon shoppers take longer on average to convert, they’re likely to convert into loyal brand advocates down the line. Be patient and prioritize for experience first. Your audience won’t buy if they don’t trust you. That’s why marketers need to give richer information on their Amazon product listings. Whether you’re paying for Amazon Ads or you have organic listings, information can make or break you. Online shoppers are wary of low quality products and snake oil salesmen, even on Amazon. Quell their fears with useful, relevant, and accurate product pages. Write FAQ, encourage users to leave reviews, add photos, upload videos, and compose copy that accurately describes the product. Rich listings are more work, but they’ll make it much easier for people to buy from you. Keywords aren’t just for PPC campaigns. At the end of the day, Amazon is still a tool for search. That’s why marketers need to be intentional about phrasing and keywords on Amazon. Most people buy from Amazon results on the first page. Similar to Google’s first page search results that are below the fold, or anything on page two or beyond, if you aren’t on the first page of Amazon and within the first two rows of options, there’s a good chance your audience won’t even see you. The key to Amazon purchases is your search placements. Do your research to see how customers find your products. Continuously optimize your keywords with an eye for user experience and search placement. Remember to optimize for voice search, too. Audiences use Amazon-connected devices like Alexa to shop with voice commands. No platform is perfect, including Amazon. Although it’s the default platform for product led search, it has its downsides. Specifically, many users worry about counterfeit products on the platform. Build user trust with a verified brand account on Amazon. Don’t rely on a third-party seller to sell products on your behalf through Amazon. If you have the resources, you can even use blockchain technology to verify the origin of each product sold. Users have also reported that Amazon makes them feel like a number. They have a very transactional approach that doesn’t encourage buyers to forge feelings with your brand. Remember to connect with buyers outside of Amazon. Send an email thanking them for their purchase. Invite them to join your Facebook group. Do something to continue the conversation after the transaction ends. Product led search helps buyers make better purchases. Now that Amazon is the go-to platform for product research, marketers need to shift priorities. Focus less on your other promotional platforms and celebrate your Amazon listings. Be where your customers are with the information they want. Play your cards right and customers will reward you with their lifelong business.